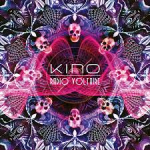 Share the post "Album review: KINO – Radio Voltaire"
John Mitchell has often said in past interviews that there may be a second Kino album to follow the excellent ‘Picture’ album released back in 2005, however it never seemed that imminent until earlier this year it was announced that a new Kino album was due, hurrah! John Mitchell (Frost*/Lonely Robot/It Bites) and Marillion’s bass player Pete Trewavas remain from the debut album, although keyboards player John Beck (It Bites/Fish) does guest on a few tracks and they have brought in Craig Blundell on drums. As for the album title and musical vision, John Mitchell explains that “the title sounds very cool and obviously there’s a connection with the band Cabaret Voltaire. But Voltaire himself (the 18th century French philosopher) had a fascination with death, which appealed to me. The album’s title track opens the album in style with a jaw dropping piece of guitar playing by John Mitchell. ‘The Dead Club’ has been released as taster song and hints of Lonely Robot on that one, whilst ‘Idlewind’ is one of the those ballads Kino do so well. A song that deserves to be heard and enjoyed over and over. ‘I Don’t Why’ is a bouncy rocker, recalling It Bites and Cheap Trick on the harmonies – Pete Trewavas’s harmony vocals are put to good use on this one. This song highlights how Kino successfully take a pop melody, then rock and prog it up a little, wonderful stuff. Air keyboards to the fore on ‘I Won’t Break So Easily Any More’ - I am pretty certain John Beck plays on this one judging by the keys. ‘Grey Shapes On Concrete Fields’ highlights the fact that we are losing more and more of our natural green spaces to buildings. Another song that mixes the guitar, keys and rhythm to great effect – each musician can be heard clearly in the mix. ‘Keep The Faith’ switches between tempos, building from a mellow beginning to produce a pomp rock flourish and guitar solo by the song’s finale. Earlier in the song the guitar playing recalls the late, great George Harrison, sublime listening. This entry was posted in ALBUM REVIEWS, ALBUM REVIEWS (Mobile), All Posts and tagged album, Craig Blundell, Inside Out, It Bites, John Beck, John Mitchell, Kino, Lonely Robot, Marillion, melodic, Pete Trewavas, prog, Radio Voltaire, review, rock. Bookmark the permalink.